I am so happy to share Sutton Shield's new cover for her fin-tabulous The Merworld Water War Series. 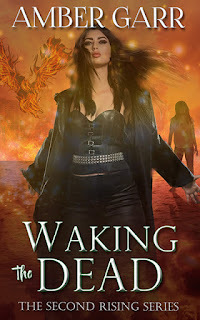 This is one of my favorite YA paranormal series ever and earned a well-deserved 5 conch rating for the first two books in the series. Here are my reviews of FINNED and OVERFALLS and I highly recommend checking these books out! In honor of the cover reveal for RIFTED, book three, I had an opportunity to interview some of my favorite characters. Read the interview and you'll know why I love this series so much. Such great characters and dialogue - there is certainly never a dull moment! So here we go with the RIFTED Cover Reveal & Multi-Character Interview! 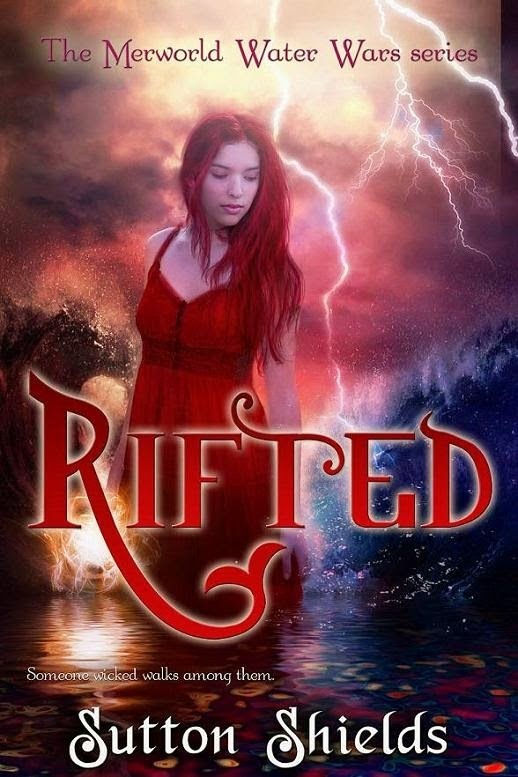 Wave Three of The Merworld Water Wars series, RIFTED, is just a fin flip away! To welcome the return of Marina, Troy, and the rest of the Mer-Nor gang, I thought it might be fun to crawl out of my shell and share the cover, hook, and summary with some wonderful book bloggers & authors I’ve had the great pleasure of getting to know. So, here we go! First up, the cover for RIFTED! Someone wicked walks among them. Heartbreak usually requires time to heal. For Marina Valentine, however, time has other plans: like sticking her with a shiny, stubborn accessory, sending her on a surprising date with someone other than Troy Tombolo, and introducing her lips to kisses that could save or destroy everything and everyone. Marina and the rest of the Mer-Nor gang must find a way to push through the grief caused by The Dealer, for their next mission will take them on a dangerous, scandal-filled journey that may very well be the most significant to date: hunt down the evidence they need to prove once and for all that the tyrannical King Zale breached the water pact. But with the shocking identity of The Dealer and overwhelming guilt weighing heavily on her, Marina struggles with frightening emotional urges and begins to question whether she is truly strong enough to succeed as the all-important Siren Savior. Marina is in more danger than ever before—even inside the familiar study with her trusted friends—because unbeknownst to her, someone has been lurking about, waiting for the chance to undo everything the Mer-Nor gang has achieved…and with the Siren Savior’s doubt growing, that person’s chance has finally arrived. I’m very happy to have Marina, Troy, Jex, Polly, and Gully from the Mer-Nor gang here for a quick-fire interview. This could get interesting, folks. Honestly, when someone else decided to interview you, Jex, I just thought it might be nice shake things up. Right, okay. Polly, does Christmas really taste like candy canes as it comes back up? Oh. Sorry about that, Polly. Well, let’s move to Gully. Gully. Gully? Gully? Marina, Troy, Polly, & Jex: GULLY!!! Gully, do you think you can ever get a haircut? Jex, you’re up. You've spent a lot of time working with them, but what do you really think of the Normals? Marina, do you miss your cards? I can imagine. So, Troy Tombolo, after all you’ve seen…if you could be a Normal, would you? It’s my job as an interviewer, I’m afraid. Gorgeous cover and awesome characters! What more could you want? Thanks for stopping by Sutton and I am anxiously counting down the days until May 27th!